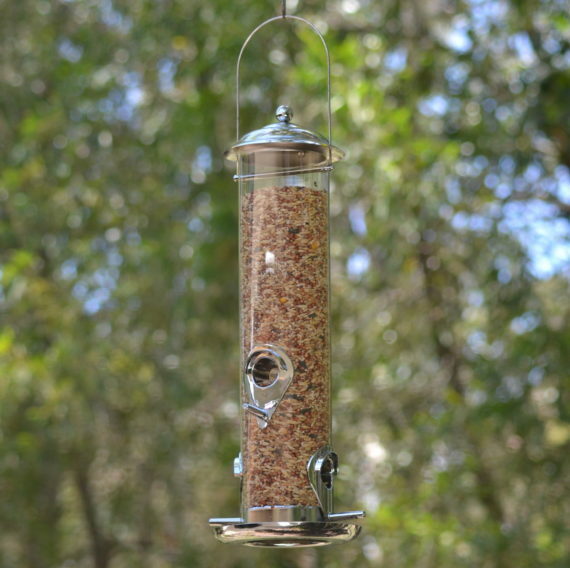 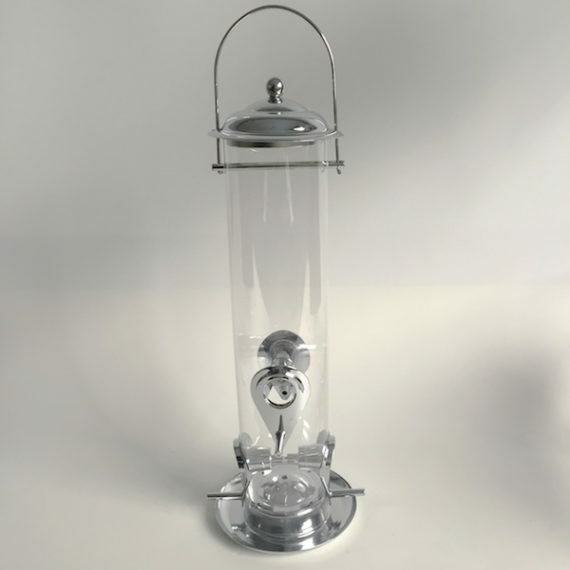 This clear and silver-brushed, hanging Nature Mates Classic Tube Bird Feeder blends well into your backyard greenery as its clear perspex tube allows for the display of whatever wild bird seed, nyjer or nuts you’re using to feed your backyard birds . 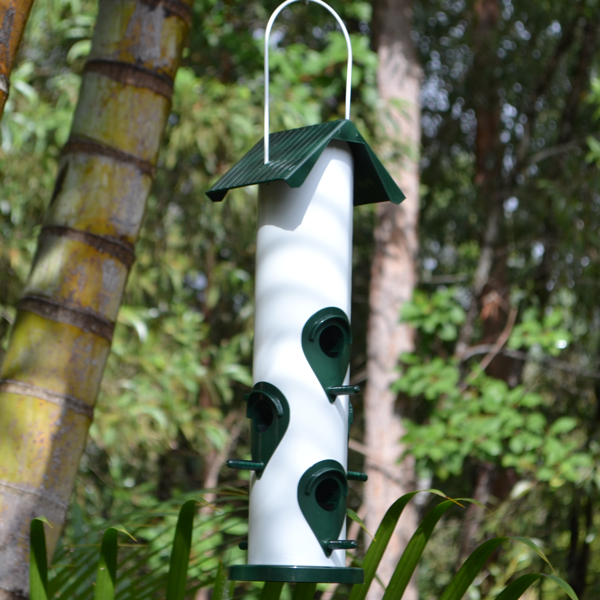 This tube bird feeder provides 4 brushed, silver-coloured ABS feeding ports with perches to encourage simultaneous feeding of a variety of small to medium wild birds. 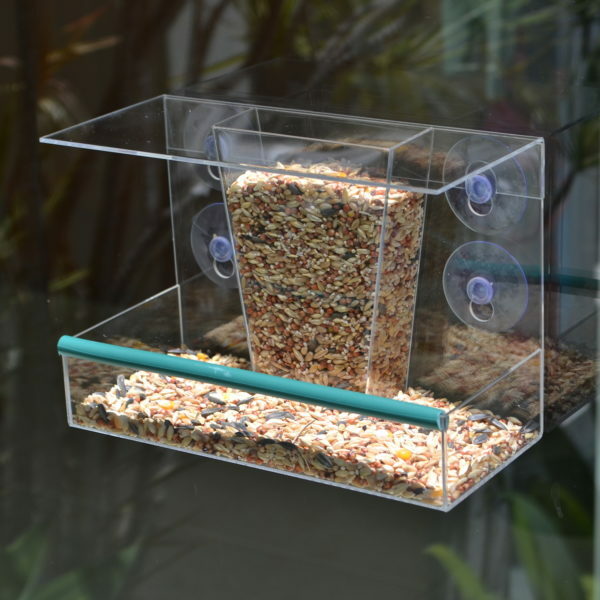 The metal bottom tray allows for an extra feeding and perching area whilst the steel handle allows for easy hanging, either directly on to branches or with wire or rope. 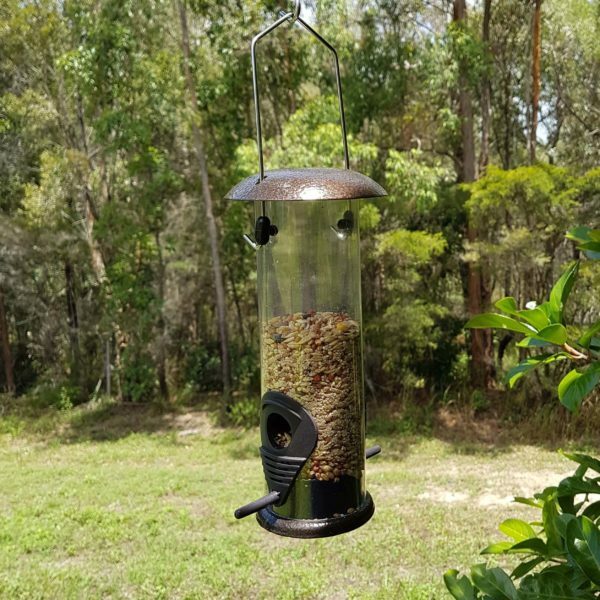 It’s extremely easy to fill, just shift the silver, metal lid to the side and fill with wild bird seed, nyjer or small nuts. 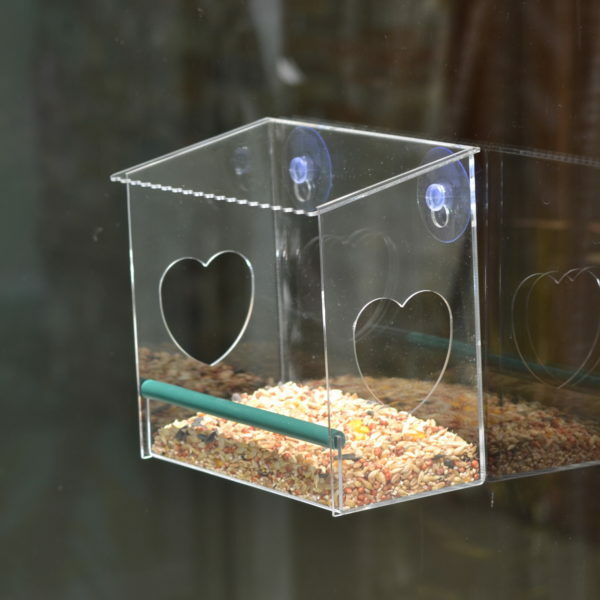 Made from eco-friendly ABS, perspex and metal, the size of the bird feeder is 8cm (di) x 36cm.